Lock in a great price for B&B 7 Rooms - rated 9.3 by recent guests. Great little hotel in an excellent location. Highly recommended. Great location, good breakfast with GF options, lovely staff. Very nice staff members (even though English is not good enough for all of them, they manage to help somehow :). ), great location, comfy bed, big room, ok breakfast. I went with my kid and enjoyed it!! We have received tips on what to visit and how to get there from Luca, and visit is other items that I didn’t think about before (thanks for that!!!) The room was very clean; also there wasn’t any noise at all and we could rest from early evening till morning with no interruption :) I recommend it for families with kids! Staff were really helpful and friendly, nothing was too much trouble and the restraunts they recommended were brilliant. 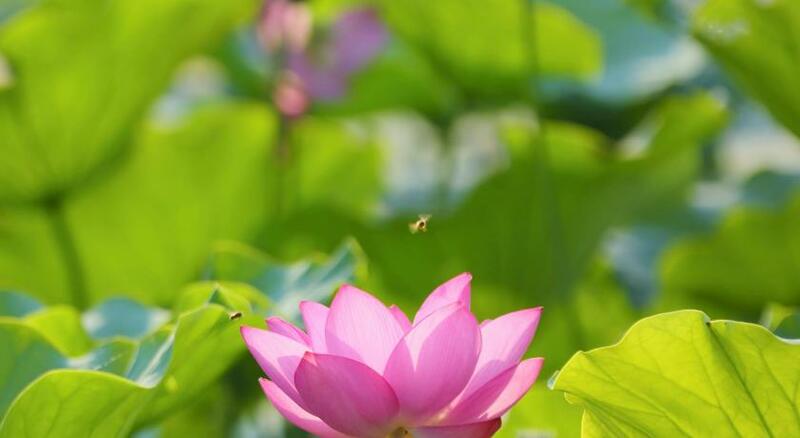 Very friendly staff (everyone was excellent), rooms immaculately clean. Comfy bed etc. Just what you want from a B&B. I was there for work but would be equally nice for holidays/short break etc. About 3 mins from the tower and Borgo Stretto so top location. Walked from train station (10-15mins) so pretty easy to get there. Nice coffee in the mornings! We stayed in the "La Romantica" room. I loved how clean and bright the room was. Everything we needed was there. The bathroom was spacious and clean, we loved the big shower head. The bed was so comfy and big, they've used good soft sheets not like the hard and rough ones you sometimes get in some hotels. The pillows was amazing it was soft but also puffy so you don't sink into it, perfect for me and my husband (should've asked where they got them lol). The balcony was a bonus suprise, we had a little sit out which was romantic and lovely. Breakfast was lovely, continental with plenty of choices. You can make your own freshly squeezed orange juice which was fun and yummy and they made us a good cup of cappuccino. Overall we loved our stay and would definately go back again. Basic B&B. Good size rooms, Our rooms were at the back of the property and were very quiet. The B&B is in a great location for the tower, restaurants etc. There is a lift to take you to the third floor if you needed with a fair breakfast in the morning. 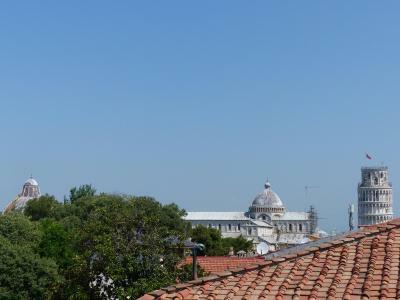 The view from the dining rooms roof terrace is lovely if the outside doors are open for access. Very good yogurt with good musli. The coffee was excellent. 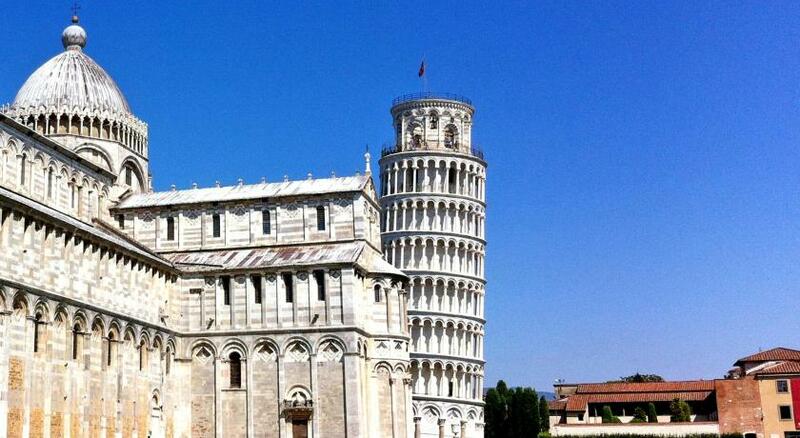 The room was really nice and big with really nice view at the pisa tower. Staff was really helpful and cheerful. This was our best stay in Italy. Right next to botanical garden and the tower. We were on honeymoon and got a very nice room with balcony and view to the tower. Staff was very sweet and helpfull with parking. Breakfast was nice and more than we would expect from italian hotels breakfast. 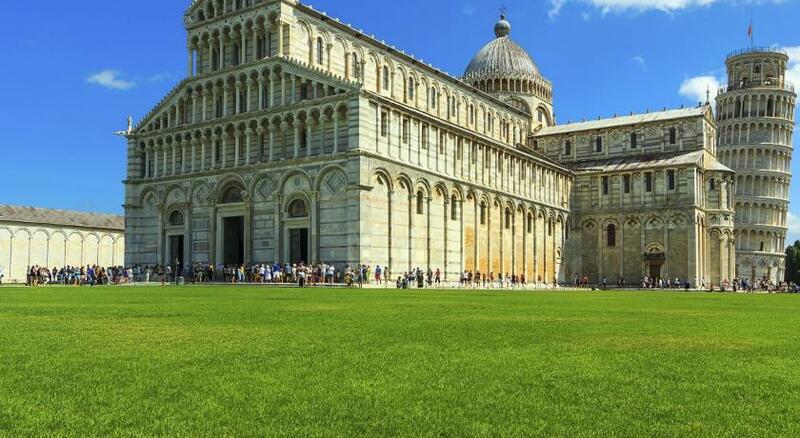 One of our top picks in Pisa.Situated 400 yards from Piazza dei Miracoli, B&B 7 Rooms offers free WiFi. All units feature air conditioning and a TV. There is a private bathroom with bidet in all units, along with free toiletries and a hair dryer. 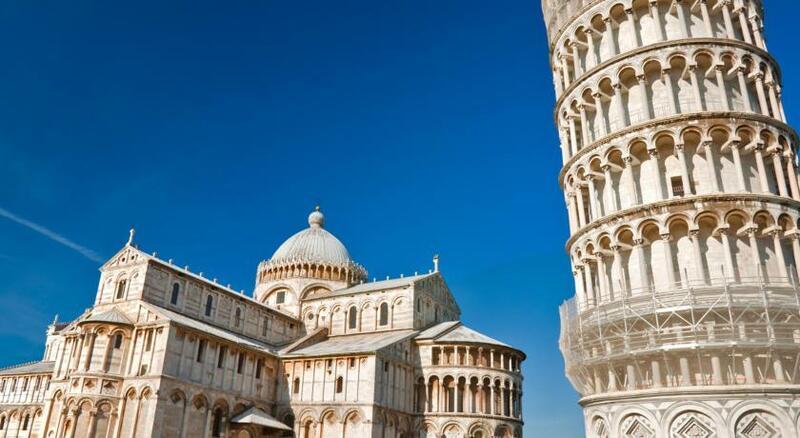 Leaning Tower of Pisa is 450 yards from B&B 7 Rooms, while Pisa Cathedral is 650 yards from the property. 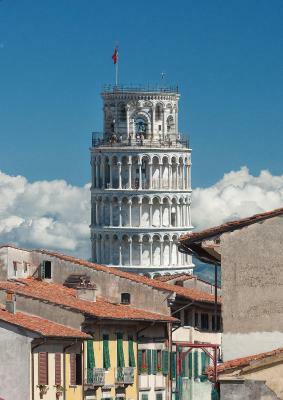 Pisa International Airport, 2.6 miles from the property. 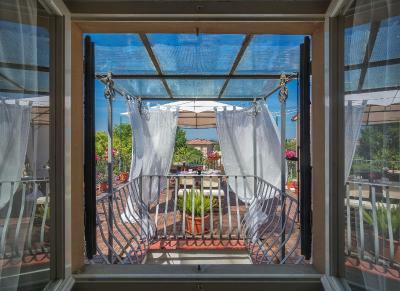 This property also has one of the best-rated locations in Pisa! Guests are happier about it compared to other properties in the area. B&B 7 Rooms has been welcoming Booking.com guests since 18 Jul 2015. 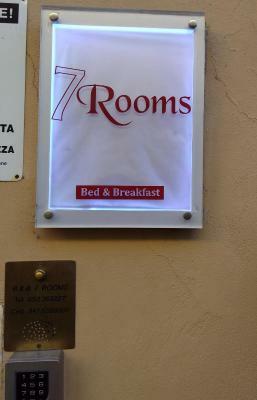 When would you like to stay at B&B 7 Rooms? House rules B&B 7 Rooms takes special requests - add in the next step! ATM card B&amp;B 7 Rooms accepts these cards and reserves the right to temporarily hold an amount prior to arrival. B&B 7 Rooms accepts these cards and reserves the right to temporarily hold an amount prior to arrival. 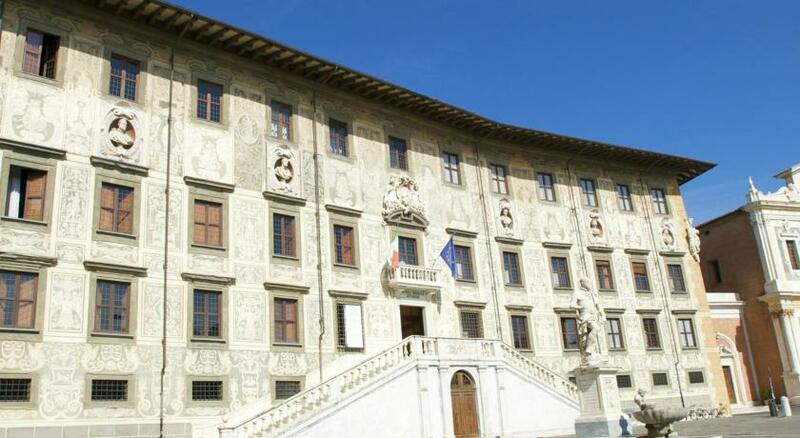 Clean room, great staff, good breakfast, reasonable rate within walking distance of top Pisa sites. Really nice B&B super clean and staff was awesome! The in room drinks could be topped up with more supplies. Mosquitoes terrible, even in mid-October! Bring bug spray! Mosquito net in room helped but we still had bites on top of bites! Convenient, nice location. Elevator was helpful since on top floor of building. Breakfast and room pretty basic but okay. Some beds are great with others being a bit uncomfy.